[vc_row][vc_column][vc_column_text] Nootropics/smart drugs aren’t actually a cure all to all cognitive function abnormalities. In fact, if you approach nootropics with the intention of having them help your brain function better, as a result of some type of malfunction related to poor sleep or diet, you’re in for a bit of a disappointment. While, most good nootropics will in fact help with brain performance in those situations, they aren’t going to help all that much and taking nootropics to improve upon functionality that is impaired by bad decisions is aÂ suboptimal way to take nootropics. And you need to understand that. That this might be the reason you are not getting good results with nootropics in the first place, because you’re trying to optimize a broken system. You see, the brain cannot fully replete the neurotransmitter systems necessary for you to realize a benefit from certain nootropics, when you haven’t slept well. 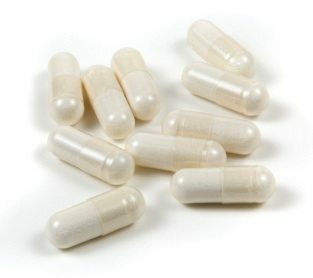 Putting nootropics into the system that effect acetylcholine, dopamine, epinephrine, and norepinephrine for example, if you haven’t gotten adequate sleep,Â is almost a futile endeavor, because in order for those systems to work well, you must actually sleep and replenish them. Without sleep, you’re working with an impaired brain, and that also means an impaired ability to react to certain nootropics. There’s also the rational ideaÂ that ATP increases during sleep, which is needed to produce adenosine, which promotes wakefulness. When you can’t produce enough adenosine, wakefulness is a task, and nootropics might not help you out of that mess. You can’t fully optimize the brain if you’re not eating enough calories. It’ll be hard to realize benefits from nootropics when your glucose levels are out of order due to blood sugar issues or an insufficient calorie intake. I could go on. The thing to take away here is that trying to optimize a broken system is almost doomed from the start. That instead of trying to fix an injured system, the best way to approach using nootropics and smart drugs is to optimize the hell out of your baseline, with nutrients, sleep, meditation, and exercise, and on top of that, use nootropics to get the extra edge. Then you’ll really be performing at the highest levels. In order to realize the best effects from using nootropics, one must sleep well enough to replenish neurotransmitter systems in the brain. This might be 5 solid, uninterrupted hours for some people, and it may be 7 or 8 in others. You want to have functionally adequate levels of micronutrients in your diet (or via supplementation), to ensure proper energy metabolism for neurons, glial cells, and neurotransmitter synthesis. Magnesium is a great example of this, where deficiencies can lead to neuromuscular malfunctions. You need to have optimal levels of B vitamins, for various reasons, to function optimally. You need Pantothenic acid (B5), as a required component of coenzyme A (CoA), which is needed for the oxidative metabolism of glucose and fatty acids, and the biosynthesis of the neurotransmitter acetylcholine. You need to ensure that you are eating enough calories for your energy expenditure needs. If you’re in a constant calorie deficit, because you’re trying to lose weight or something, your brain’s energy is going to decline simply as a result of that. This is partially why people go on diets and complain of lack of energy. It’s difficult to have the appropriate amount of glucose for cell functionality in the brain when you’re not getting enough calories (and carbohydrates) to fuel brain function. Sure, you could train the body to use fat for fuel, by sending ketone bodies to the brain for energy, but eventually this will shoot you in the foot by way of depleting the catecholamine neurotransmitters. One must ensure they’re getting enough fatty acids in their diet. Particularly DHA and EPA, the fatty acids found in the marine class of foods. DHA for example, is the primary structural component of the human brain. It can be synthesized from mother’s breast milk, so you’re good in those early years, but thereafter, one has to make sure they’re getting adequate levels of fish,Â alpha-Linolenic acid, or are taking a fish oil supplement. Working out in the morning is an amazing way to jumpstart blood flow and functionality to the brain. A good solid cardio or weight training workout in the morning are nootropics in and of themselves. And more. The trend here is to ensure you are optimizing every other facet of your body and brain to set up the best possible functionality scenario, so that when you take nootropics, you reap the massive benefits they have to offer. Imagine having a really functional brain from baseline. Verbal fluency is on point, memory functionality, both working and long term is operating well, and your focus capacity is stellar. Then, on top of that optimized baseline, you throw in some Aniracetam, which through enhancing glutamate functionality and acetylcholine release, has the potential to provide a nice clean focus on top of your optimized baseline. Then, you’ve got this already optimal brain, that is now additionally optimal because you’ve enhanced the way it works, when it already worked well. Imagine working pretty optimally at baseline, and then throwing down 50-100MCG of Huperzine A. You’d be functioning quite awesomely, and here you’d really be performing at the highest levels. Think about having an already optimized brain, and on top of that, throwing down a bit of Modafinil. You’d be a productivity machine in no time, and the potential come down/side effects of Modafinil will probably be lessened, if they’re present at all. This to me is the real crux of the power of nootropics. Enhancing a system that already exists as optimal. Perfecting an already perfect situation. Taking yourself from great, to amazing. Functional to super optimal. Awesome, to incredible. If you’re an entrepreneur, and you demand great brain performance out of yourself (and require it), optimizing your baseline will take you farther than you can imagine. It can take you to unimaginable heights, where you’re making the money you want to make, and building your business at the highest level possible. If you’re a corporate ladder climber and you’re trying to make your way up to the top, to the C suite for example (CMO, CFO, CEO, CBDO), optimizing a functional baseline will mean that promotion, YOUR boss looking positively on you, and an upward trajectory within the company. Nootropics can help deliver that. The list actually goes on. If you’re a mom of 2, 3, 4 or however many, and you’re constantly bombarded with the demand for great brain performance to tend to your kids’ life and problems, having an optimized baseline SHOULD be your target to deal with the myriad of input and required output from your brain, but then enhancing that baseline to keep up with the stress that may occur from that lifestyle, as well as trying to keep performance at the highest levels to deal with the demand burden, is not just a good idea. It’s everything. It’s THEE thing to do. That’s you being an intelligent mom, and effectively tending to the requirement of having a good brain to be an awesome parent. This is the best way to use nootropics. Improving upon an already optimal system. Not trying to improve upon a broken brain. You don’t want to be running on empty, and running for the proverbial coffee to take you back to a functional baseline. That’s normal people behavior, and if you’re on this blog, you are ANYTHING but that. You can’t attempt to fix a broken system by taking something that has the capacity to make that system work better. That’s only going to be half effective. What you want to do instead is make that system work as good as it can work, and then optimize it from there. That is what the world’s best entrepreneurs and productive people are doing. And that is the intelligent way to go. All of this isn’t to say that a person can’t function pretty good, if they’ve got some kind of deficit, from taking a nootropic stack or substance. It seems pretty unanimous that taking something like Modafinil, in a cognitive or sleep deficit, can help take you back to baseline and even more. We’ve had reports of people having poor sleep, then taking the Cortex nootropic stack and ending up performing better than baseline. It happens. And nootropics can offer an optimal position from an injured baseline. But the most optimal way to use nootropics, is to have a fully functional baseline, and then improve upon it to become an awesomely optimal version of yourself. Workout in the morning. Eat right. Sleep well. Target health problems if you have them that may interfere with your ability to do any of those mentioned things. Eat enough calories for your energy expenditure. Ensure you’re up on all of your vitamins and minerals, because they play a critical role in your body’s capacity to synthesize neurotransmitters and function optimally at baseline. And then, on top of being optimal, add to the optimality by bringing nootropics/smart drugs into the picture.